Matthew Barnes is one of Her Majesty’s Inspectors. 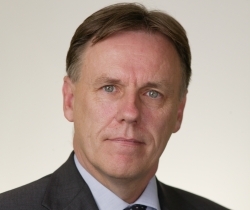 He has extensive experience of leading section 5 and section 8 inspections in the mainstream and independent school sectors, including special schools. He also leads local area SEND inspections. 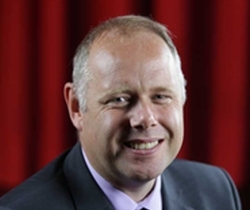 Previously, Matthew worked as a primary headteacher in four settings and across two local authorities. One of these roles was as an executive headteacher of two schools in the South West. He has also benefited from experience in two special school settings, one for pupils with social and communication needs and the other for pupils with emotional and behavioural difficulties. Matthew has three children, a daughter in mainstream schooling and two sons who both have special educational needs and attend specialist provision. Matthew completed a B.Ed. in English and Education, has National Professional Qualification for Headship (NPQH), a Professional Qualification for School Inspectors (PQSI), has completed Ofsted’s SEND enhanced training and is a trained Forest School leader. Welcome to the first issue of Real Group’s TSP Briefing. Listening to our readers’ views, we have taken the very best of The Send Practitioner and updated it to deliver more of the content our readers want in a more frequent and digestible format. Subscribers will now benefit from more frequent, single-topic or interview updates across a wide range of subjects surrounding SEND, Leadership and all that matters in inclusive education. As always, this service is completely free of charge, so if you haven’t subscribed yet make sure you do today ensuring you don’t miss out on the news, views and updates which shape our profession. This inaugural issue is on the most challenging of topics – Ofsted inspections – with an exclusive interview by Editor-at-Large Edward Farrow, with Matthew Barnes, OFSTED’s special adviser on SEND. I hope you enjoy the new format, and that you will share this issue with your colleagues. As always, please contact us if you have any thoughts on what topics you would like to see covered, or what we can do to improve the TSP Briefing further. What key messages are there for schools from the Ofsted and CQC local area inspection reports for SEND services? The new Ofsted strategy is to be a force for improvement through intelligent, responsible and focused inspection. What do you think might change so that Ofsted is a force for improvement for pupils with SEND? “Well, that’s a very good question. I think that the messages that Amanda’s already given about being cautious about how we use data, in particular when we’re inspecting, are key. There also needs to be a slight shift in emphasis to thinking more about how a curriculum has an impact for all students. I think that our current inspection framework is quite special needs friendly. However, I know from the messages that I hear from the sector out there, that there is a feeling that there are perverse incentives around trying to achieve the best outcomes in terms of national benchmarks. And I suppose, if I’m thinking about outcomes for children and young people with SEND and how a curriculum can improve that, then I think that it’s a very positive move that Amanda has been talking about. We’ve become more and more interested in supporting school leaders. With your practical, direct inspection experience in mind, what qualities can be seen in exceptional school leadership teams in relation to SEND in particular? “I suppose that, for me, ethical leadership’s important. I’m particularly impressed with those who do what’s right for their community. For me, some of the best school leaders who I speak to say that, as a community school, they’re there to serve all those in their community. They’re not looking to fit in with Progress 8 measures; they’re not looking to fit in with what Ofsted’s looking for; they’re looking to do things that make a difference to children and young people and their families and make the school central to the community. Does Matthew think that the reorganisation of the national college of school leadership work within the DfE could mean that NASENCO would benefit from being managed similarly to the National Professional Qualifications for Leadership. There could be many benefits for the NPQs and NASENCO if there was parity of esteem and approach. Does he agree? “Yes, on a personal level, absolutely. The Code of Practice already says that every school should have a SENCO and, obviously, within the Children and Families Act, it’s clear that there should be a SENCO and that the SENCO should be a qualified teacher. So that legislation’s already out there in a way, and I suppose the question is: ‘could our Ofsted framework potentially shine a light on when this isn’t right?’ I think that there is potential for us to think about that. However, what I think our framework does do very well is shine a light on strong practice that improves outcomes for children with SEND. And, actually, I’d rather our inspection framework was focused on whether it’s improving outcomes as opposed to whether it’s ticking the legislative framework or becoming a regulatory activity. Because I think that it’s good that we’re about outcomes and impact. Some secondary schools say that they understand why Ofsted dashboards set high expectations for pupils in receipt of Pupil Premium and SEND to reach the same standards as other pupils. They also say, however, that they no longer know how they are doing for these groups of pupils compared to similar schools. What are your thoughts on this? “What’s key to our framework, is that we look at the progress that children and young people make from their starting points and we compare that to other pupils nationally. And although I can accept that school leaders might find it difficult to compare how their children are doing compared to other schools, one of the areas of special needs where that’s very risky isn’t to do with national consistency but with the quality of identification for young people with SEND. For example, in one local area I might find a very high proportion of children identified as having autistic spectrum conditions compared to another where they might have high proportions of social emotional and mental health difficulties. And what I’m saying here is that sometimes there isn’t parity identified across local areas. So, you need to be very careful when it comes to special needs, because trying to compare like for like groups doesn’t boil down to a fair comparison. This is why we use that national benchmark as a comparison, because it’s the only one that is consistent and fair. That doesn’t mean to say that we’re expecting children and young people with SEND, regardless of their needs, to attain the same level as other children nationally. But we might expect them to be able to make the same progress from their starting point. And I suppose that that’s the thing we’re looking for really. And it’s only one part of what we do when we look at pupil outcomes. So, we’d never use that data on its own to make a judgement. In short, we want to see what it looks like for those children in real life by observing them working in classes, having conversations with them and their parents and with the staff who work with them. We also need to look at the quality of assessment and, for those who have the more complex needs, that’s an even more important element really. For these reasons, the data becomes less significant and other evidence becomes more significant. We’re measuring SEN pupil progress by breaking down objectives into small steps and highlighting these as met in hard copy individual pupil assessment profiles. This works well for those pupils who are unlikely to reach even ‘working towards’ expected attainment levels. However, how many steps of progress constitute satisfactory progress or good progress? This SENCO appreciates that this is specific to their method of tracking attainment but at their LA SENCO forum no one felt confident to answer the question. Finally, it’s a case of triangulating that against historic outcomes. How well have the children that have been through this assessment process done? How prepared are they for the next stage in their education/preparation for adulthood outcomes? Triangulating that against conversations with parents, staff, meeting the children, watching them learning and getting a sense of whether it’s helping them make rapid progress against the things that they’re trying to do and whether it’s robust, reflects the children’s needs and is ambitious. We’ve heard that Ofsted’s considering dropping categories such as ‘good’ and ‘outstanding’. Is this correct and, if so, what will replace the categories? “There’s been a lot of discussion about whether ‘outstanding’ is a useful judgement. And I think it’s the case that we’ve been listening very carefully to what the sector’s been saying about that. A lot of school leaders think it’s useful and a lot of school leaders think it isn’t. So, there’s a really mixed dialogue out there at the moment. So, I think that it’s rightly on the table for discussion. Another reader would like to know your opinion and Ofsted’s position on taking SEND students out of the main GCSEs in a mainstream school despite Progress 8 requirements. “I suppose that Progress 8 is just one way that we look at progress – as I’ve already pointed out. And if you look at our handbook, I think that you’ll struggle to find a mention of Progress 8. It doesn’t mean that we don’t use it, but when we’re looking at children and young people’s progress and their preparation for next steps, we’ve got to be cautious. Because for some pupils with special needs, it’s right to disapply them from exams because of accessibility. However, if there was a feeling that a school was doing that to game the system or inappropriately affecting children’s opportunities to achieve then that would clearly be a challenge for us to explore with leaders at inspection. And the Equality Act states that there should be fair access, wherever possible, to the same opportunities for all children. What’s the worst nightmare for an inspector when they visit a centre and look at a sample of Form 8 and what would Matthew consider to be best practice? Can you shed a bit of light by sharing examples of outstanding/satisfactory practice in regard to Form 8? “The quick answer to this is that we wouldn’t. We wouldn’t say that something is best practice, because we wouldn’t want everyone to rush around and try and do something that wasn’t right for their setting. It goes to my earlier point about the fact that the best schools do what’s right for their community and that strong sense of self-evaluation and understanding of their own community and children’s needs are key. Schools tell us sometimes that they want to ask for the advice of specialise SEN services to understand why a pupil isn’t making expected progress. However, even if they have the budget to buy services in, they can’t always find a specialist – for example a speech and language therapist or an educational psychologist. What should schools do when they believe they need advice but cannot access it? “Well, our one-year report highlights the difficulty in waiting times for these types of services and that access to them has diminished. We accept that it is a problem and we can see that it’s a problem for school leaders. We’ve seen schools do all sorts of innovative things to sort out these services for themselves. So, where a group of schools have struggled to access speech and language therapy through their central service, they’ve commissioned together to employ a speech and language therapist who works across a patch. This has been an effective approach for some schools. However, I recognise that we’re in a world with diminishing budgets and that this can be a challenge sometimes. I recognise that it’s the responsibility of local areas to commission the right things for their area and this is something that we are looking at. When we carry out local area inspections, we look at the quality of commissioning arrangements and strategic needs assessments to identify where there are gaps and try to tackle them. And, of course, in the best local areas, health recognises that education and care providers are commissioners, and so rather than all three trying to commission separate things to solve the same problem, they work together to find joint solutions. And that’s where it’s most effective. There is growing concern about the mental health of young people. Schools are telling us that they are concerned that they cannot meet their mental health needs and that access to local CAMHS is patchy. We also know the Children's commissioner is deeply concerned. Would Ofsted consider inspecting, with CQC, the quality of mental health services for young people? “It’s fair to say that we’re already looking at mental health, and CQC have been commissioned to look at mental health services in particular – and they’ve been doing some research around that. And Ofsted have been involved in the dialogue. And I think it’s fair to say that we’ll use the outcomes of that to consider (and ‘consider’ is the operative word) how we might make changes to the 2019 framework to reflect that. What we know from the local area SEND inspections is that access to CAMHS is patchy. But sometimes, I think, there’s an issue with schools feeling that CAMHS is the only thing out there to support mental health. And I think that there are a lot of schools that are doing a lot of great stuff to support children with their mental health needs while not recognising that they’re offering successful provision. It just goes back to the point I made before, which is that there are some local areas that are really starting to join things up. They’re realising that health, care and schools can work together to have a package that supports children with mental health needs. And I think that it would be good if we could have something in our framework that shines a light on that best practice. The new head of Ofsted, Amanda Spielman, seems determined to learn from the mistakes of the past. What mistakes do you think we can learn from when ensuring children with SEND get what they need in education? An SEN-reform health-check with Brian Lamb OBE. Brian, author of the widely respected Lamb Inquiry: Special educational needs and parental confidence, is an eminent expert in this field and took part in the inaugural issue of The SEND Practitioner, now called TSP Briefing. 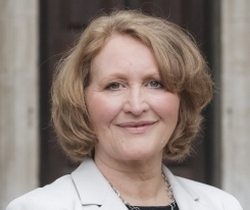 Anne Longfield OBE (children’s commissioner for England) discusses the state of the nation’s child and adolescent mental health services (CAMHS) via: CAMHS cuts, SEN general annual grant (GAG) funding, demographics, exclusions, legal aid, and the post-Brexit landscape. 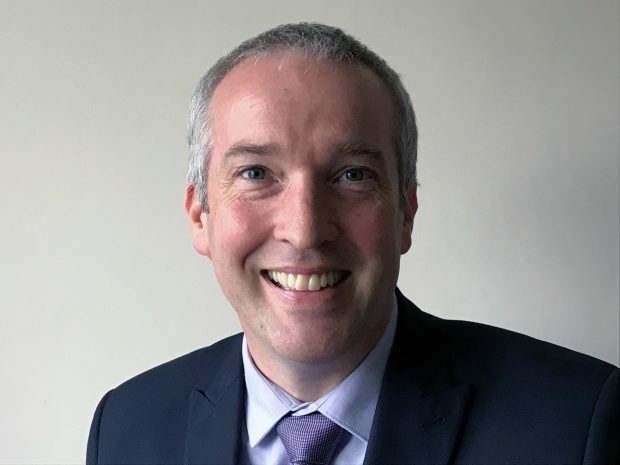 Ian Whittaker sheds light on examination concessions; the school’s state of readiness for the Welsh reforms; and the pressure that the future funding squeeze will have on the school’s staffing levels and pastoral care. The NPQs are a group of three new courses for staff in education settings at all levels who want to develop their knowledge, skills and confidence to lead successfully. Work with personal tutors who are experienced and qualified practitioner psychologists or specialist teachers. Experience the National Award from the comfort of your own setting with Campus OnlineTM – the leading virtual learning environment for postgraduate SEND study. Learn on the job and encounter a perfectly weighted practice-led study programme that doesn’t overload you with theory. Take a course designed by leading educational and child psychologists. Attain a Middlesex University-validated National Award for SEN Coordination Post Graduate Certificate – worth 60 M-level credits.